We’re recruiting experienced and enthusiastic teachers who seek an opportunity to work with children in residential care, living in rural Cambodia. 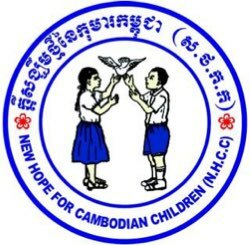 Our school is an English-language immersion school operated by New Hope for Cambodian Children (a Cambodian NGO) as part of their mission to provide quality education for the HIV+ children in their care. We are located 33 KM from the capital Phnom Penh, in a rural village surrounded by rice fields. • Compensation includes US$200 per month plus private onsite accommodation, all meals and the cost of a year business visa. You can visit our website at newhopeforcambodianchildren.org for more information about NHCC.